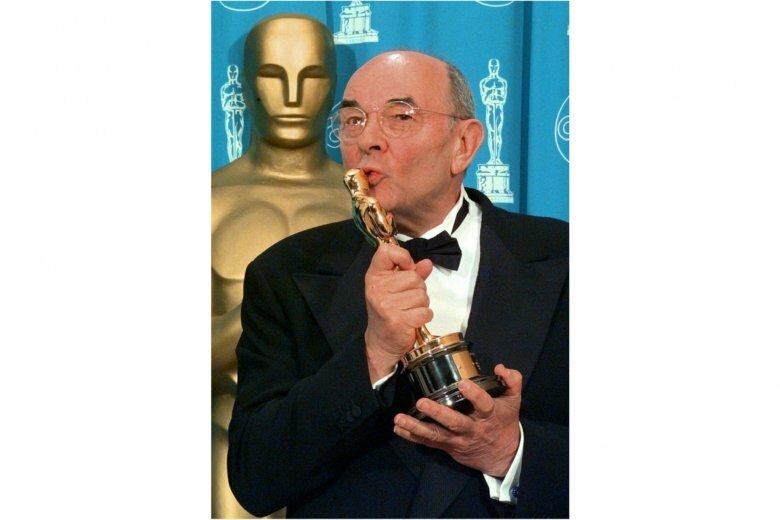 LOS ANGELES (AP) — Filmmaker Stanley Donen, a giant of the Hollywood musical who through such classics as “Singin’ in the Rain” and “Funny Face” helped give us some of the most joyous sounds and images in movie history, has died. He was 94. Steven Spielberg recalled Donen as a “friend and early mentor” for whom life and film were inseparable. “His generosity in giving over so many of his weekends in the late 60’s to film students like me to learn about telling stories and placing lenses and directing actors is a time I will never forget,” Spielberg said on Saturday. A 2007 American Film Institute survey of the top 100 American movies ranked “Singin’ in the Rain,” with its inventive take on Hollywood’s transition from silent to talking pictures in the 1920s and Kelly’s famous dance in a downpour, at No. 5. Donen was asked in 2002 whether the filmmakers knew that “Singin’ in the Rain,” released in 1952 and also starring Debbie Reynolds and Donald O’Connor, would be revered decades later. Born in Columbia, South Carolina, Donen would remember movies — especially those with Astaire and Ginger Rogers— as a needed escape from the tensions of being one of the few Jews in his community. He took tap dancing lessons in his teens and began his show business career as a performer, dancing in the original Broadway production of “Pal Joey” at age 16. The title role was played by Kelly, and the show’s success propelled Kelly into the movies. Donen received his first Hollywood break when Kelly got him a job helping choreograph the 1944 Kelly film “Cover Girl.” Over the next few years, he worked on choreography for such films as “The Kissing Bandit,” starring Sinatra, and “Take Me Out to the Ballgame,” starring Sinatra and Kelly, who teamed with Donen on choreography. “Singin’ in the Rain” was one of three films credited to Kelly and Donen as co-directors; the others were “On the Town,” the 1949 Kelly-Sinatra musical about sailors on leave in New York City, and the darker “It’s Always Fair Weather,” in which three soldier friends reunite a decade later. Other Donen films included “Seven Brides for Seven Brothers” (1954), with its superlative athletic choreography; “Damn Yankees” (1958), the remake of the Broadway smash about a baseball fan’s temptation; and “Funny Face,” in which Astaire teamed up with Audrey Hepburn to play a fashion photographer and his unlikely muse. Astaire’s character in “Funny Face” was modeled on Richard Avedon, and the famed photographer served as a consultant to Donen. One Donen film, the chic mystery “Charade” (1963), reminded viewers of a Hitchcock thriller. “Charade” starred Hepburn as a precocious socialite whose husband has been murdered, and Grant — who appeared in four Hitchcock films — as a mysterious man who may or may not be helping her. Other credits include a musical segment for the 1980s TV comedy “Moonlighting” and a stage production of “The Red Shoes.” In 1999, he directed the ABC television movie “Love Letters,” which starred Steven Weber and Laura Linney.